To help you to enjoy your diet while watching the pounds fall off you, you might want to try some of these neat tricks that really do work! A big part of burning fat from your body's store of the stuff comes from raising your metabolism. This is the process where the body uses the energy it amasses from the food you eat to perform daily tasks and exertions when needed. To put it in a nutshell, "the faster your metabolism or the higher your metabolic rate, the faster you burn energy." Ideally, you want to be using more energy through physical work for a given amount of energy you take in through food. When that energy is used up, the body demands more, which it gets from its fat store. 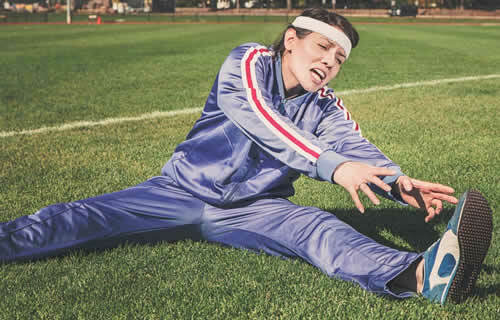 So to help ramp up your metabolism, an early morning stretch is a great fun way to kick start your day. You can do it in bed before you even get up! It's simple, enjoyable and doesn't take up much time but the benefits are far reaching. All you do is have a really good, long stretch all over. Include your back, neck, shoulders, arms, hands, legs and feet. Do them individually or in groups, depending on what feels most comfortable or doable for you. It forces your body into action and acts as a great preliminary to any further exercise you will be doing later on! After you've had a great stretch, which you might initially think has little to do with diet but turns out to have quite a lot to do with it, then next trick is getting to love water (to drink). Water is your friend while its nemesis, soda or any other flavored, sugary drink for that matter is your enemy! Pure water has zero calories or additives, yet it hydrates your body perfectly and quenches your thirst better than just about anything else can (regardless of what you have been brainwashed into believing by clever ad men). But it has another amazing property that dieters are starting to get clued up to. Drinking a glass of water before a meal causes your stomach to tell your brain that it's full sooner than it does if you don't drink water. That's massive because it's a natural "STOP" switch that can help prevent you from overeating at any meal sitting. Better still, if you feel a pang of hunger between meals, instead of reaching for the snacks, grab a glass of water and drink it slowly. Chances are you weren't hungry at all, just thirsty. It's very common that the brain gets the wrong signals and mistakes thirst for hunger. So by satisfying the thirst you didn't know you had, you negate the feeling of between-meal hunger, which is a great way to lose weight naturally! This is a great trick to play on your stomach. It's normal to brush your teeth just before you go to bed, which is a habit that you do every night. Its also something that, by association, your stomach knows means no more food until morning. 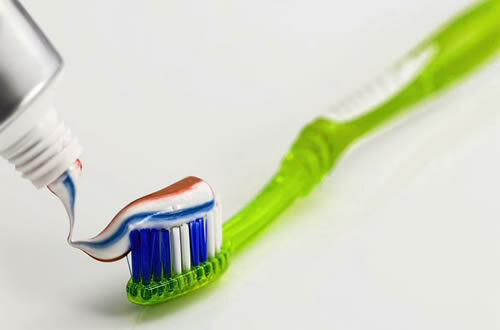 Brush your teeth an hour or two before you intend to go to bed! What that does is tricks your stomach into believing that there will be no more food until morning, so you won't crave that late night snack and all the extra calories that come with it! Better still, the taste of toothpaste often makes food taste awful, so it's like a double whammy -- you're not likely to want to eat anything with a minty mouth! I hope these cool dieting tricks are something you can incorporate into your daily routine. They'll help your diet, fitness and weight loss program go a lot more smoothly while helping you to get in shape with less hassle. How great is that!